Driving to this community you will be immediately struck by the natural beauty of the area. 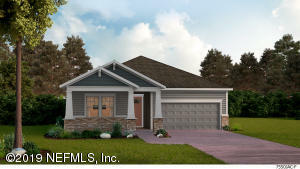 When you arrive you will notice the exterior curb appeal of this single story home. Then as you walk through the home you will notice amazing sight lines throughout the home. Designer kitchen with plentiful cabinet space, a large island open to a spacious family room. Home features a number of design upgrades throughout including flooring, cabinetry, and countertop upgrades. Enjoy entertaining on your extended covered lanai with sliding glass doors along the back of your house or just having a peaceful evening sitting outside. Ready April 2019. Call for more details. This home has been on the market since Jan 15,2019. Courtesy of WEEKLEY HOMES REALTY.